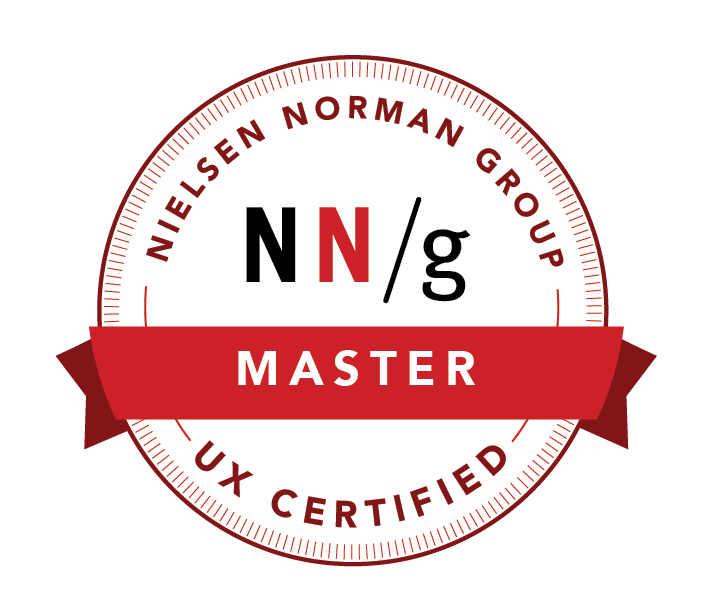 I consider unified branding – which is just similar user interface (UI) designs with some marketing sprinkled on top – and usability testing – the only ‘real’ way to determine user experience (UX) – both opposite directions to approach the same goal. Like many designers, I have been in work situations where everyone was adamantly opposed to any kind of usability testing for designs or products, but were 100% completely for unified branding; this is kind of crazy when you stop to think about why wouldn’t we want to work with our clients and users. What is even more bonkers is that when you really start to think about unified branding and usability testing being two opposite sides of the same coin – unified branding provides a similar design hierarchy to help users understand ownership and purpose, while usability testing determines if users understand how to use those similar designs and their purpose – why would you not want to have unified branding and usability work hand-in-hand with each other? Designers currently live in a time wherein everyone wants to refer to themselves as UX Wizards, UI Ninjas, or a Usability Experts… but when somebody mentions usability testing, everyone runs for cover yelling ‘not it’. For example, when you Google the term ‘unified branding’ you find many answers from eHow articles, Wikipedia entries, to various design firm definitions. You will read unified branding definitions that read as ‘a brand is a promise’, ‘delivering one experience’, or ‘it’s a perception’. You will also find a lot of information geared to small businesses. I recently attempted unified branding for this website, my resume, and my process books in preparation for my MFA Candidacy Review. I started by defining a color pallet, selecting typographic elements, and developing design elements. Once I had all of these three components, I developed a series of templates in Adobe InDesign, and the rest was easy. All in all I think it went very well, and I passed. For a MFA in Graphic Design Candidacy Review I submitted six design projects, design narratives, and design process books for review, so it was a lot of work to have to pull together. If you are interested, please feel free to check the process books if you like. Also, lately I have been studying usability for work from both ends of the spectrum: I’m looking at various usability testing software for work like Userlytics and Morae, while simultaneously considering things like Google’s Material Design approach, Apple’s iOS Human Interface Guidelines, or Microsoft’s design principles all for their very successful user interface design guides; however, these are for specific platforms and products. I’m much more an advocate of iterative and open source design, and not so much a fan of product sales-driven design process, so I found an example usability testing summary from Zotero, a free, open-source citation management program that helps users collect, organize, and format citations for research sources such as books, journal articles, web pages, images, and more. As you can see Zotero’s usability testing uncovered that there was non-intuitive button placement and a general lack of content strategy from a new user perspective. For example, things like ambiguous action descriptions and little to no written help for new users was a determined problem from the usability testing. This is one of many good examples of usability testing because not only did Zotero rank the severity of the usability testing findings item-per-item, but also because it incorporated qualitative information from users such as comments, thoughts, and questions. So my point is this, if you’re going to strive for unified branding you can’t leave out usability testing; you’re only doing yourself a disservice, and really half of the work involved in being a great designer.